If you have toddler girls that need some new snow boots, this is a nice deal. 6pm has these Kamik Kids Ava Boot for $21! These normally sell for $66.99, for a 70% savings. 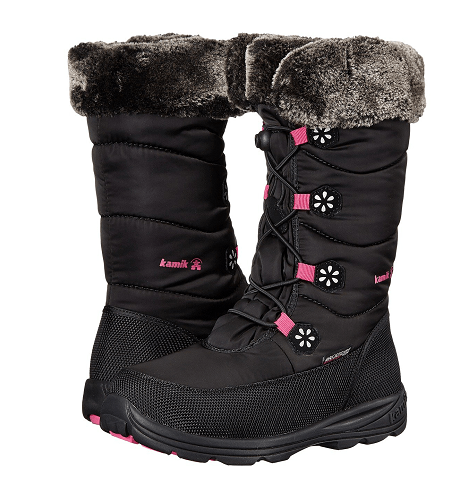 Trudge through the winter landscape with a reliable winter boot such as the Kamik® Kids Ava! Fixed 200B Thinsulate style insulation. Moisture wicking lining allows moisture to escape for a breathable wear.